When humanity is faced with an imminent threat, Carson Baxter decides to think outside the box. An asteroid, known as the Catalyst, is discovered on a clear path to Earth. Wondering if another civilization has ever faced a similar threat, he begins innovating a way to make contact with an extraterrestrial species in an attempt to gain their methods of aversion. On Earth, NASA astrophysicist Jennifer McPherson is juggling her duties of maintaining the Near-Earth Asteroid Tracking program (a.k.a. NEAT) with passing information along to young Yuri Antonov, a Russian energy tycoon keen on mining the asteroid for its natural resources to position his corporation for the long-term, fueling mankind’s engines indefinitely. In the midst of government cover-ups and conspiracies, society is on the brink of collapse as the masses begin to lose faith in their global leaders. What will happen as humanity fights for the continuity of its very existence? Matt Shao was born in Baltimore, Maryland and grew up in Mt. Juliet, TN. He attended the local high school, MJHS, before moving on to play baseball at Vanderbilt University, where he majored in Economics and Corporate Strategy. Having spent many years in the insurance industry, he finally pursued writing after the passing of his mother. 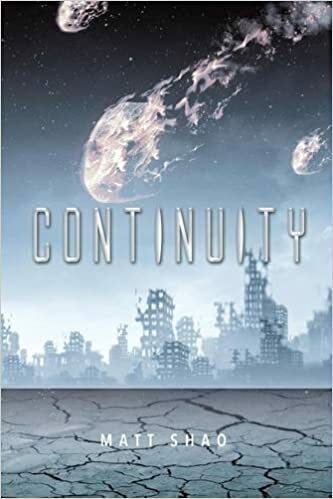 This event significantly impacted him, providing the motivation and drive to complete his first novel, Continuity, which was published in April 2016. Matt spends much of his free time with his mini schnauzer, Baxter, who inspired the namesake of Continuity’s main protagonist. He currently resides in Nashville, TN, where he enjoys live music and the city’s growing restaurant scene.